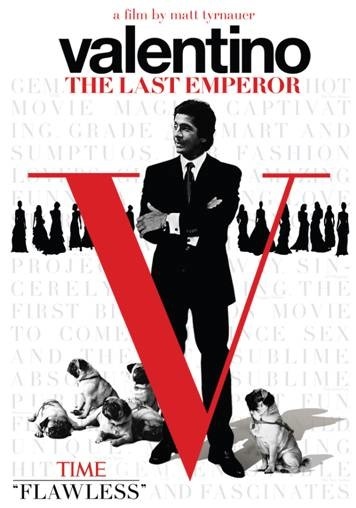 I recently saw the film “Valentino The Last Emperor “ and it was fabulous! 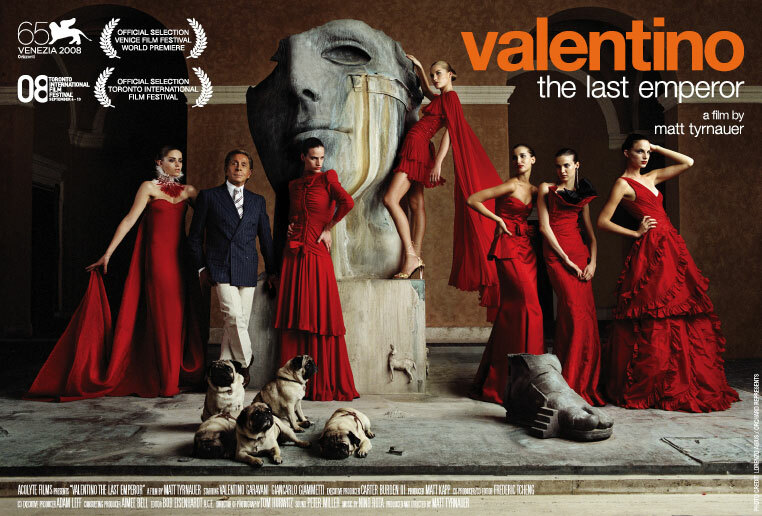 This phenomenal film chronicles the last two years of Valentino Garavani's career as head designer at the fashion house that bears his name, also billed as a love story about Valentino and his business partner of 50 years, Giancarlo Giammetti and don’t forget about their super fabulous five Pugs who jet around the world with them as one big glamorous happy family. 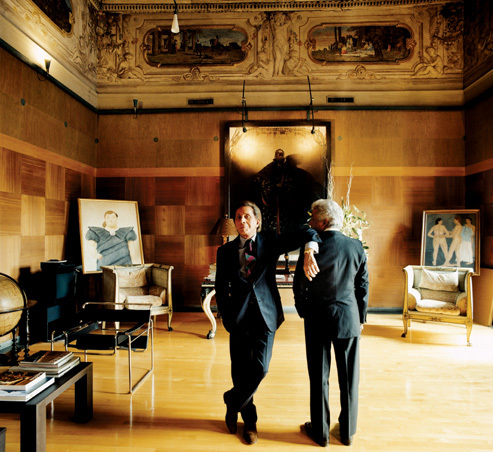 It offers an unparalleled view of the inner workings of the house of Valentino. 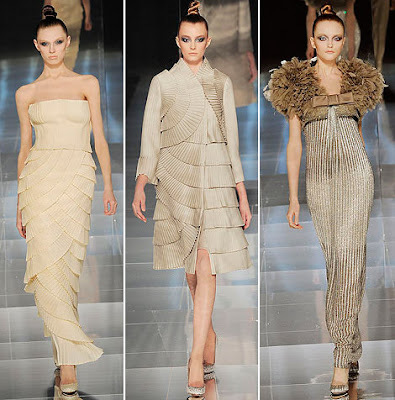 The viewer will be fascinated by the design process of a traditional couturier as well as the politics involved in being owned and operated by a powerful parent company. 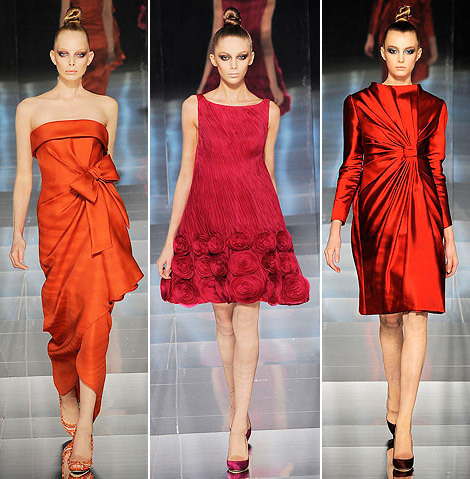 I’ve always been admiring Valentino’s beautiful designs, the craftsmanship of the construction on the garments, lavish embellishments of beadings & embroideries …. All makes Valentino’s creations one of the kind art piece that should be display in the museum. 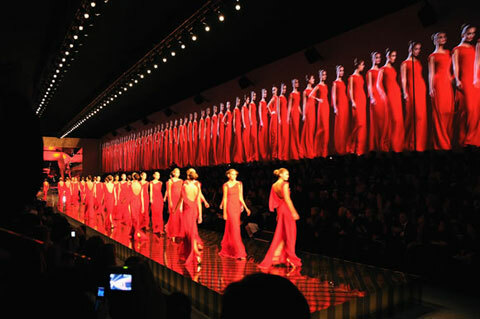 In this film, you will get to see Valentino sketching lavish gowns then sent to the seamstress ten he draped beautiful fabrics on the mannequins, explaining his vision as he work, you will feel like you are there to witness his creation process. Also there are part of the film shows the power struggle between the designer Valentino & his parent company slowly & surely forcing Valentino into retirement because the couture gowns which he had built his empire upon were no longer earning enough money that’s required to keep the company running. It is which sadden me a lot see this, yes, in these days… the focus of each design house had shifted to ready-to-wear clothing & accessories such as handbags, jewelries, perfumes & sunglasses; and I am afraid the art of Haute Couture will one day be gone forever in the fashion world. One of my favorite scenes was those including Valentino's six pugs who do everything from fly in a private jet to participate in a photo shoot. 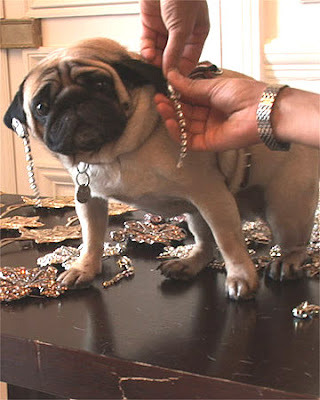 Since I have a pug also, I think they are just the cutest dog in the world! 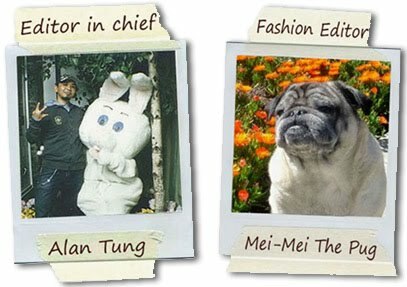 Here is a video of their Fab 5 pugs! 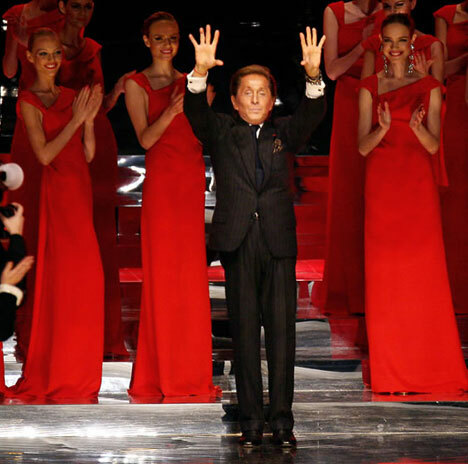 There is only one Valentino, no one can replace his vision, contributions to the world of fashion! Ciao, Valentino!